And the sales numbers prove this. If you’ve ever been to Japan, then you’re familiar with the lack of American cars there. This is no coincidence. The fact of the matter is that Japanese car buyers don’t like American cars. They don’t see them as quality. One brand, however, is the exception: Jeep. Automotive News took a closer look at the numbers and discovered that Jeeps are really the only American brand that sells decently in Japan. Decently, but not great. For example, only 6,344 Jeeps have been sold through August of this year. The second-best American brand, Chevrolet, sold a mere 373 cars in that same period. Ferrari sold even more cars in Japan than Chevrolet. Heck, Lamborghini outsold Cadillac and after a really bad sales year, Ford quit Japan entirely after 2016. But Japanese Jeep sales numbers are actually improving. 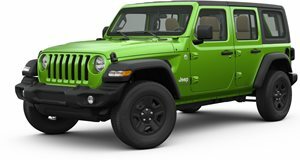 In just the first three months of 2017, Jeep sales increased by 6.9 percent, making it the seventh best-selling brand in Japan. And that’s an excellent position to be in considering the Japanese car market is notoriously difficult, mainly because of those high standards for engineering and overall quality. Jeep’s success in Japan also hasn’t gone unnoticed by potential buyers, such as China’s Great Wall. 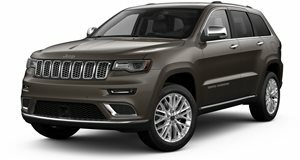 Last summer, rumors emerged about FCA selling the Jeep brand, or forming a partnership of some sort. The ability to sell non-Japanese or European cars in Japan is highly desirable, and Jeep has momentum on its side. 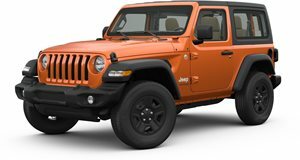 The upcoming redesigned 2018 Wrangler is expected to sell extremely well in Japan, which also happens to be the world’s fourth-largest Wrangler market. And yes, FCA does cater cars specifically to Japanese buyers by converting all of its models to right-hand drive, converting drivetrains to meet Japan’s fuel economy standards, folding side mirrors for narrow parking lots, and even installing Japanese navigation systems. By investing in things Japanese buyers want and doing so with quality earns respect and, therefore, sales. Jeep will also be rebuilding or refreshing more than 50 Japanese showrooms by the end of next year, yet another sign of its commitment to the land of the rising sun.